Today, Wednesday 17th October, the school celebrated Harvest Mass together. It was led by the Year 6 children, who read beautifully their readings, a harvest poem and the prayers. 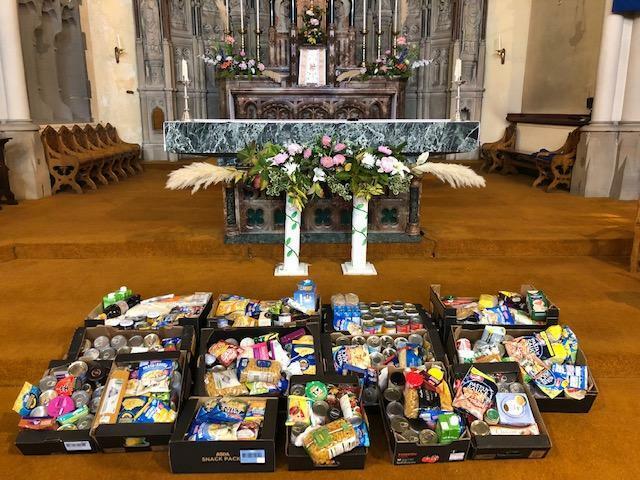 Leading up to Mass we have had an ongoing Harvest collection and we manged to fill many boxes! After Mass, the Headboy and Headgirl, along with their deputies, went with Mrs Kowlaska to give our donation to Fleetwood Food Bank. They really appreciated our hard work and generosity. Thank you to all our parents and families for helping us give such an amazing donation.